I am not sure where I even begin with this one, such has been the roller coaster ride to get to this point. 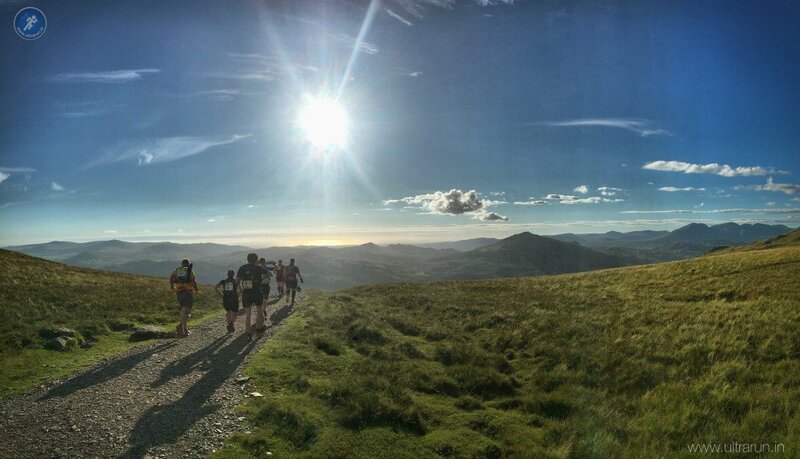 Twelve months ago I made the decision to travel north to Coniston for my second running of Lakeland 100. My original plan, to follow-up my successful completion in 2016, was a sub 30-hour attempt in a pair with Andy Haworth, was in tatters. After a great run in the inaugural Pennine Barrier 50, my glutes and hips were refusing to play ball. I had more tape on me than a Christmas present wrapped by a five year old but such is my love of this event that I was determined to start. Five hours and twenty painful miles later, I threw in the towel at Wasdale Head, in so much pain and convinced it would be unsafe for me to continue on into the dark, over some brutal climbs and terrain. It was the right decision as it turned out, with a fractured pelvis diagnosed later in the year but it still was one of the hardest decisions I have had to make in my short running career. When entries opened for Lakeland in September 2017, I was determined to go again and put the record straight. The subsequent fracture diagnosis and four months off running didn’t help matters and I entered 2018 uncertain whether I would be running or supporting at this years event. Slowly I returned to running and built my miles up, painfully bringing my body back to some sort of fitness. Tentatively I ran The HEINEKEN Race to The Tower Ultra Marathon and despite having a poor first forty miles, was pleased to be able to finish strongly. I recovered quickly in the days following the race, another positive sign and my fitness and strength continued to build towards Lakeland. Could I have a good year? All was going well and just over two weeks before Lakeland, I started my taper. Then, disaster struck. While warming up for a core session, my problematic adductors loaded and something “went” in my left knee. The discomfort was constant and my concern was real. Had I come this far to have my Lakeland dreams taken from me once again by something so innocuous? Ice was immediately applied and I went into full rehab mode. I sort professional guidance and treatment. Everybody I spoke to was in agreement, that rest was the only chance I had, along with the usual rehab routines, which by now I was by oh so familiar with. I was frustrated, disappointed and pretty deflated but I went at my rehab like a man possessed. It was like Groundhog Day, with memories of 2016 andme frantically trying to get my glutes and back to let me run Lakeland. For the first few days nothing happened and I feared the worst but slowly things started to improve and after five days I even felt like I could tentatively try and run. I held off until the weekend and with my leg and knee protectively taped, I headed out for an easy run. First on tarmac and then the following day, on the trails in full race kit. With less than a week to go my knee seemed to be holding up nicely and my Lakeland dreams were back on again. Who knows, the eight days enforced rest may have even helped and put me on the start line fresher than my original taper plan? Loosing a week of running did mean that I had a final few kit and nutrition choices to still make, which I had planned to do on my final long run the weekend before. An easy ten miler on Sunday in full race kit, allowed me to test some combinations out and ticks were placed in the last few boxes. As I write this I must admit to being both excited and terrified in equal measure. Excited to be returning to the bosom of the Lakeland Family once again and sharing it with my own family this time around. Both our sons are running The Lakeland 1 and my wife is running in The Lakeland 50. My sister and brother-in-law are providing babysitting duties while we are both out on The Fells on Saturday – thanks Gemma and Matt! 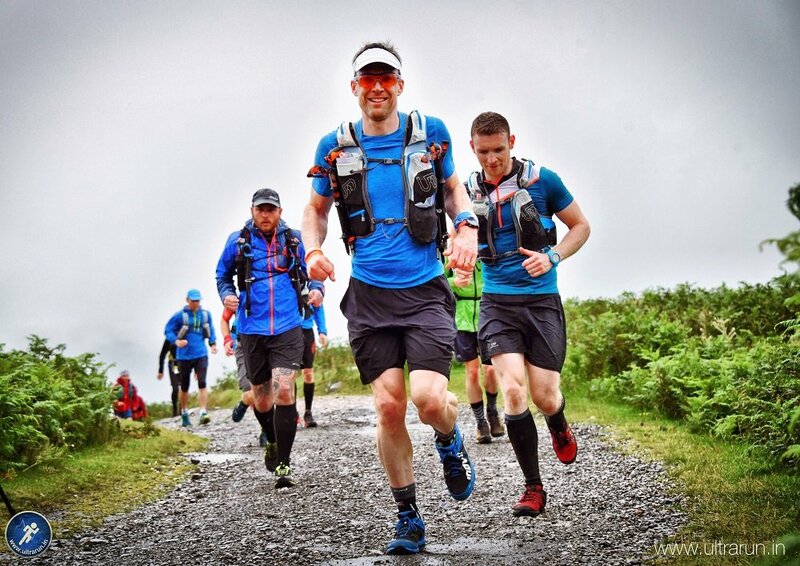 Although I have completed Lakeland 100 before and have run the first twenty miles twice, there are so many uncertainties when it comes to running hundred mile events, which are further complicated to by the questions about my bodies ability to cope with the terrain and distance. Yes, I managed to complete Race to The Tower and recovered quickly but Lakeland 100 is up a notch again, not just in terms of distance but also in terms of terrain. I have been trying to remain positive, drawing upon my previous experiences of running the race and my general knowledge of The Lakes from years of walking, running and climbing there. This is the culmination of twelve of the hardest months I have experienced as a runner and I plan to try and embrace it and celebrate the fact I am back, something which seemed impossible just a few shorts months ago. The recent injury aside, my preparations have gone well. I have worked hard on my diet and as a result, am considerably lighter than I was the last time I ran this and nearly three kilograms lighter than when I finished in 2016. The warm weather has dried the course out, hopefully meaning I won’t have to worry about trench foot this year but even so, I have made changes to my kit, preparation and race plan since 2016 to try and provide additional protection against this. The real challenge is that with these preparations comes confidence, maybe over confidence. I should be starting this race with just finishing in mind but in reality I am constantly thinking, what if? What if I can have a strong race? Could I beat my 2016 time? Could I manage a sub 30-hour finish? Could I go well under 30 hours? It is a mental battle familiar to many but I am struggling to manage this and as the days tick closer to the start at 6pm this Friday, I can feel myself piling extra pressure on. With the recent injury scare and my return from the stress fracture, I know I should just be starting the race steady, easing in and seeing how things develop. However the other part of me wants to go for it, not a sprint start off the start line and up Walna Scar Road but start with a positive objective and see how close I can get. In Race to The Tower, I secretly wondered if I could finish under ten hours and part of me is frustrated that I didn’t focus on this earlier on in the race , as I ended up finishing in 10 hours 14 minutes. A cracking time all things considered but it could have been better. I realise that in putting these thoughts out there, I am in a way putting myself under more pressure and even setting myself up to fail. At the same time it feels like a confession of sorts and hopefully a problem shared is a problem halved so to speak. Any finish is a good finish and with some nice orange bling on offer this year (one of my favourite colours) there is an added incentive to get to the end and pull that medal and t-shirt on. I am not ignorant to the fact that the last one is a real stretch but I think it is good to have it there as something to focus on. 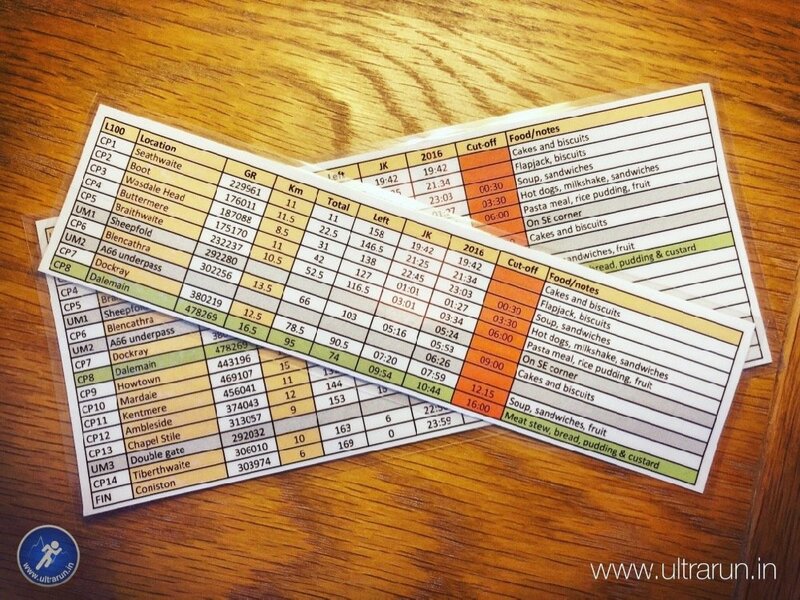 As usual I have built out my race card, with some target times for a sub 30 hour pace, along with my times from 2016, so I can track my progress against these objectives during the race. 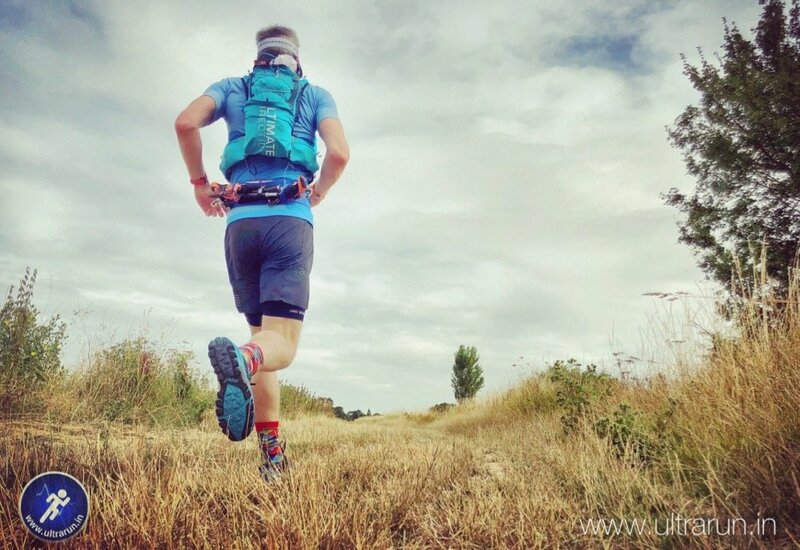 The sub 30 hour times are based on John Kynaston’s times during the 2015 race, where he paced it perfectly to finish in 29:36. His was a sensible approach, building into the race and minimising time in checkpoints and I will try my best to replicate this as closely as possible. Whatever happens is should be a fabulous experience. The weather has been amazing across most of the UK in recent weeks, meaning the course should be dry, possibly the driest it has even been? The blazing temperatures we are experiencing at the moment look set to drop towards the weekend, with the long range weather forecast a little uncertain. It could be anything from thunderstorms on the Friday to almost perfect running weather, with a clear night and some cloud cover on the Saturday. Hopefully we get a clear night, as it will then give us the chance to experience the blood red lunar eclipse, scheduled for Friday night, along with the meteor showers that are also expected. The views going across Black Sail Pass and Scarth Gap in the dark are amazing at the best of times but with this celestial lightship thrown into the mix as well, we should have some spectacular views to look forward to. So, there we have it. My pre-race thoughts and ramblings. Later this week I head north to Coniston and look forward to meeting up with a number of friends and hopefully making a few more on my tour of The Lake District. This year, all hundred runners will be carrying a tracker, so if dot watching is your thing, you can track my process over on the Open Tracking website. My race number is 416 and the fun starts from 6pm this Friday 27th July, 2018. Feel free cheer me and others along and wish us luck, for what will hopefully be an awesome weekend! Have a great race Giles. Remember to start really comfortable up that first hill!